The chain is precisely what I was looking for in the U.S. DC area. Was told that a high end chain was no longer available due to the 9 speed being out dated (old). This chain is light with it's hollow pins and cut out on each link. So glad KMC does not think the 9 speed is irrelevant. KMC chains are hard to beat. This one looks great on my bike and is nice and light. I purchased one of these chains well over 3 years ago and it has covered endless miles of year round mud, water grit and grime, it still performs faultlessly, its never let me down and a clean has it looking like new. As expected after 1000's of muddy off road miles it is getting a little worn, I have stripped and rebuilt my bike and didn't hesitate to buy a new one for the rebuild. They are light but seriously tough and durable, highly recommended. I've had a number of KMC chains over the years and have always found them to be excellent. They're strong, well made and (for the weight weenie amongst us) one of the lightest chains available. I've used the likes of SRAM and Shimano in the past but found they would snap or wear easily but this isn't a problem I've encountered with KMC chains. Granted, they aren't the cheapest available but, like most purchases in life, you get what you pay for. In conclusion, they're pricey but reliability, strength, low weight and longevity are worth paying for. Very nice chain, seems incredibly quiet. Used everyday and no problems. fantastic delivery service on this item, only one day and on to the bike, at the lowest price too. 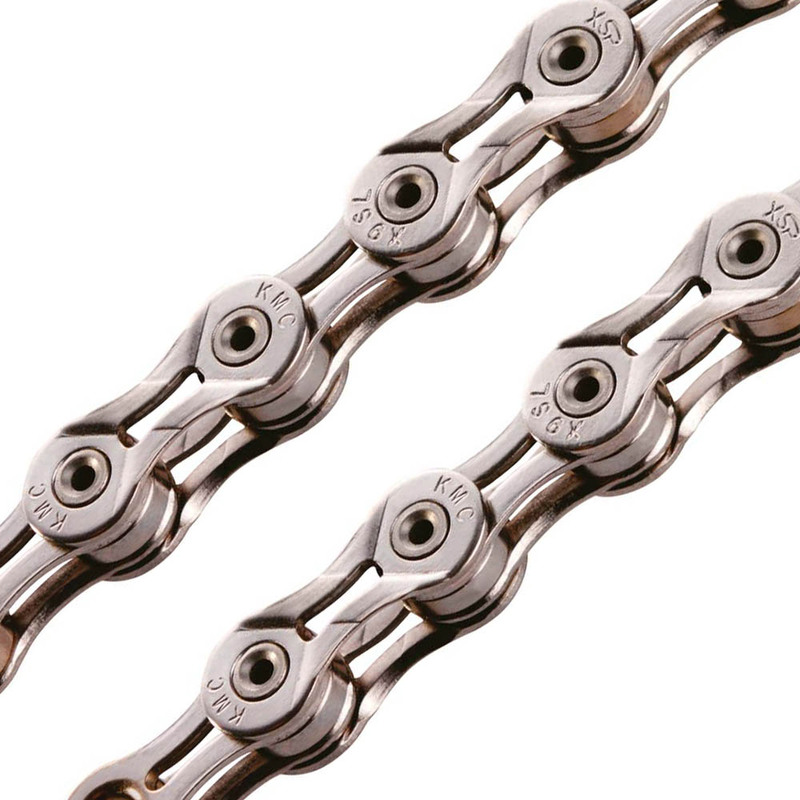 Excellent lightweight chain, usual great KMC quality. Excellent lightweight chain. Great shifting, and good mud clearing at Llandegla. Recommended.